Published: Dec. 17, 2017 at 03:25 p.m.
Baltimore Ravens linebacker Za'Darius Smith strip sacks Browns QB DeShone Kizer in his own end zone and Ravens defensive tackle Brandon Williams jumps on it for the touchdown. 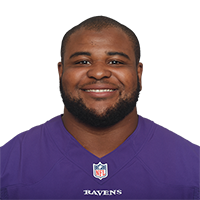 Published: Nov. 6, 2016 at 03:19 p.m.
Ravens defensive tackle Brandon Williams tips Steelers quarterback Ben Roethlisberger pass, Ravens defensive end Timmy Jernigan recovers. Published: Nov. 22, 2015 at 03:41 p.m.
Rams Todd Gurley fumbles, Ravens recover. Published: Sept. 30, 2013 at 03:55 a.m.
(15:00) E.Manuel sacked at BUF 36 for -9 yards (C.Canty). FUMBLES (C.Canty), RECOVERED by BLT-B.Williams at BUF 27. B.Williams to BUF 27 for no gain (L.Smith).